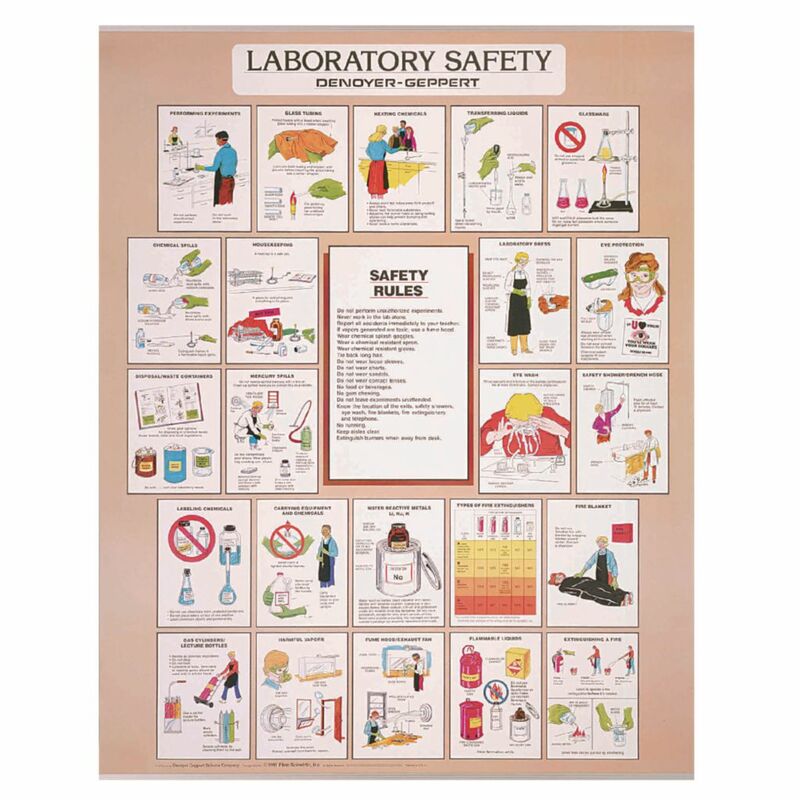 This poster focuses on an essential set of safety rules in the lab. 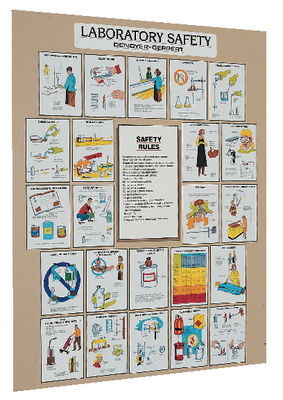 A number of illustrated panels accompany the list of rules, showing correct safety practices and correct use of safety equipment, as well as cautions against improper technique. The captions are clearly and concisely written to communicate safety procedures quickly. 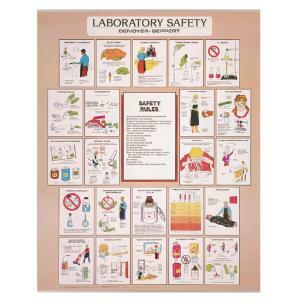 Washable and tear-proof, the chart features sturdy wooden rods at the top and bottom, plus loops for hanging.